Exfoliating Mitt: Bacteria-free, nylon exfoliating mitt for daily dry skin exfoliation. Colors vary. 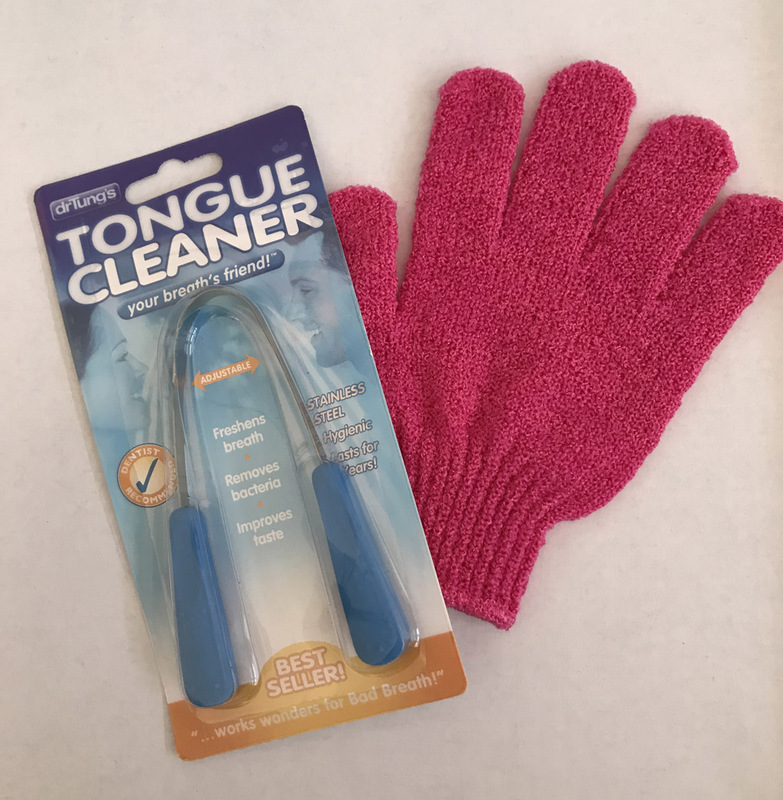 Tongue Cleaner: Comfortable, effective and easy to use tongue cleaners made from stainless steel. Use daily in the morning as part of your dental hygiene routine. Used for Lalita’s Seasonal Cleanses. Product manufacturer may vary.